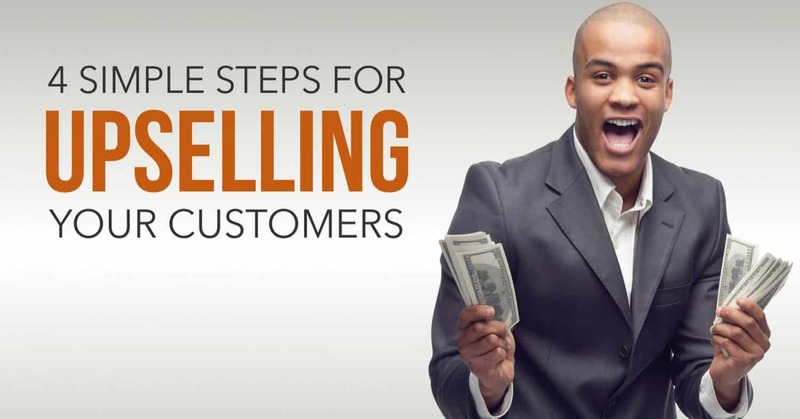 4 Simple Steps for Upselling Your Customers | xPotential Selling Inc.
What is your strategy for leveraging more sales with your existing customers? Apart from simply asking for more business, the goal is to develop or reinforce your relationship with key contacts in the account. From that you gain the intelligence you need to maximize sales with your customers. Start by separating your active accounts from inactive accounts. Then verify the accuracy of your contact info for each active account. Inactive one’s you may need to resurrect (but that’s a different article). You may have multiple contacts within an active account, so include those folks as well. Prioritize your primary contact, highest ranking contact or the one with whom you have the best relationship. This will be your first person to contact. How would you rate the quality of service you’ve received from us? How can we increase our value to you? What products/services like ours are you buying from your other vendors? How much are you buying from your other vendors? What is your decision-making process about changing vendors? What initiatives do you have coming up where we might need to be involved? How much upside sales potential is there in this account? Is it worth me pursuing? How can I distinguish myself from the other vendors who sell to my customer? Good relationship with minimal upside potential – In this case you have a solid relationship, but you’ve already sold them about as much as they can buy. There’s minimal upside potential. Your focus should be on maintaining that account against competitors. Therefore, continue to reinforce the relationship. Low-quality relationship with good upside potential – If you don’t have a strong relationship with a customer that has strong upside potential (i.e. you represent only 10% of their office supply or IT services spend each year), then work to develop the relationship first and then earn more of their business over time. Good relationship with good upside potential – This is the ideal scenario. You’ve worked hard to develop trust with the customer. Perhaps you haven’t been a vendor long enough for them to turn over more of their business to you. Now is the time to set a strategy meeting and gain more intelligence on their future plans and areas where you can provide them more value and expand your service offerings to them. Upselling is critical to growing your sales. However, value must be at the core of your customer interactions. Use this process to help guide your strategy for delivering more value to your customers and more revenue for you.